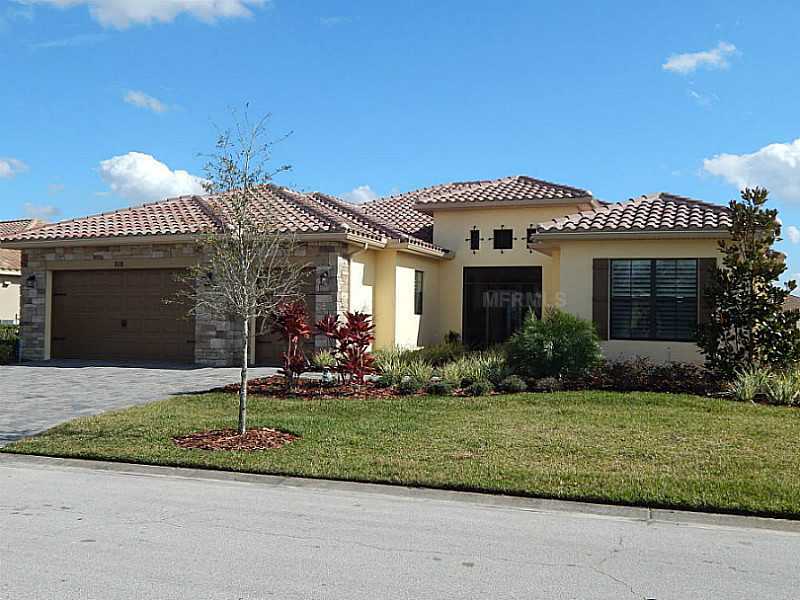 TALLAHASSEE, Fla. – April 25, 2014 – The pace of Florida home construction is more than a positive trend for Florida real estate agents, according to a report from Florida TaxWatch. Housing starts, as a leading economic indicator, provide evidence that Florida is rebounding from the Great Recession. The TaxWatch report finds that Florida averages more than 4,600 new private single housing starts each month – more than double the monthly averages in early 2009. Furthermore, future housing start projections are expected to double by 2016 for single-family homes, while multi-family new construction should double by 2017. Positive housing starts also have a ripple effect on the state economy. They provide construction jobs and contribute to the growth of other sectors, such as housing services, home improvement stores and other retailers, along with Realtors and title companies. The full TaxWatch economic commentary can be read online. Hi guys. Here’s a market report for Solivita comparing the 1st quarter of 2014 with the 1st quarter of 2013. This will show you the trend for home prices in Solivita. So what does this all mean? Well, the first thing, that stuck out like a sore thumb, is that 19% of the resales in Solivita his year were either REOs (bank owned) or short sale (SSs) properties. Compared with 23% for last year. So..distressed property sales in SoliVita are declining. That’s a very good thing for the SoliVita community. Now according to the chart property values in Solivita have increased 9% in the last 12 months. The average sales price in SoliVita right now if $183,000 for a 1,731 sq foot (heated area) home. 9% appreciation is very good and is higher than the Florida average of 5%. Inventory has been about the same all year. There are currently 126 properties for sale in SoliVita. That’s a little more than 6 months of inventory. It’s a Buyer’s market in SoliVita right now. Here’s the lowest priced Solivita home for sale today. A 1253 sq ft Zinfandel Model built in 2005. 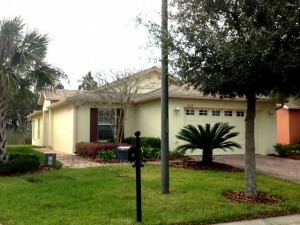 This SoliVita resale is located in the Venezia neighborhood and is priced at $109,000. That’s only $87 per sq foot and is a good deal based on recent sales in SoliVita. Here’s the highest priced home for sale in Solivita today. This 3057 sq foot home has 3 bedrooms, 3.5 baths and an inground swimming pool. It was built in 2012 and is currently priced at $487,900. My opinion, for the future, is that property values in Solivita should continue to experience appreciation in the 5% to 8% per year range. This is based on the fact that the baby boomers are a huge part of the 55+ Adult Community market right now and are very much attracted to these types of communities. So there you have it, Broker Bryant’s SoliVita Market Report. Any questions? According to Fannie Mae’s February 2014 National Housing Survey results……. • Month-to-month, the average 12-month home price change expectation increased to 3.2 percent. • The share of people who say home prices will go up in the next 12 months increased 7 percentage points to 50 percent, while the share who say home prices will stay the same decreased by seven percentage points to 38 percent. • The share of respondents who say mortgage rates will go up in the next 12 months increased by 1 percentage point, to 56 percent. • Those who say it’s a good time to buy a house increased from last month, up 3 percentage points to 68 percent. • The average 12-month rental price change expectation increased from last month to 4.3 percent. • 51 percent of those surveyed said home rental prices would rise in the next 12 months, an increase of 3 percentage points from last month. • 45 percent of respondents thought it would be easy for them to get a home mortgage today, a 7-percentage point decrease from last month. • The respondents who say they would buy if they were going to move fell 4 percentage points to 66 percent, and those who say they would rent increased to 30 percent. • The share of respondents who say the economy is on the right track decreased 4 percentage points from last month to 35 percent. • The percentage of respondents who expect their personal financial situation to get better in the next 12 months decreased slightly from last month, to 43 percent. • The share of respondents who say their household income is significantly higher than it was 12 months ago increased 2 percentage points to 24 percent. • At 36 percent, the share of respondents who say their household expenses are significantly higher than they were 12 months ago rose 4 percentage points from last month. New home purchases were up sharply in January. According to the The Mortgage Bankers Association (MBA) sales of new single-family homes were running at a seasonally adjusted annual rate of 543,000 units in January 2014. (data from MBA’s Builder Applications Survey). The Mortgage Bankers Association estimated 38,000 new home sales in January 2014. That’s a 36 percent increase from the level of 28,000 units in December 2013 .The estimated 543,000 unit annual sales pace in January was a 35 percent increase from December’s pace. This conflicts with data showing a decrease in existing home activity. However it is in line with what builders are reporting. Mortgage applications for new home purchases are up by 27 percent relative to the previous month. SoliVita New Construction is also booming right now. If you are looking for a Florida 55+ Active Adult Community then come check out SoliVita. We’d love to show you around Florida’s World Class Active Adult Community..
did you know that nearly 80 million Baby Boomers are edging ever closer to retirement? In fact, about a hundred thousand Baby Boomers who have chosen early retirement will be receiving their first Social Security checks next month. The outlook for these retirees and those who come after them has never been brighter. Although each person’s situation is different, as a whole, this generation will have a quarter of a century of retirement to look forward to, and will bring to retirement an unprecedented level of affluence and continued good health. Because they want to ensure a comfortable retirement, droves of Baby Boomers are snapping up homes in 55+ Active Adult Communities in interesting locales across the United States. While this generation might be financially more well off than their predecessors, it doesn’t mean that they’re spendthrifts. On the contrary, it seems as though they’re very aware that their longevity means that they have to be careful with their assets to ensure that they’ll have enough money for retirement. As a result, the trend is for Baby Boomers to want retirement homes in Active Adult Communities that offer the amenities they are looking for. Part of the process of finding the right Florida Active Adult Community is finding the right location. Current trends indicate that Baby Boomers are choosing to buy “lifestyles”. Few are able to afford to buy or build Malibu beach houses or Manhattan penthouses. Instead, they are electing to go where property prices and property taxes are low. But – and this is an important factor – they want many of the amenities that make retirement living relaxing and rewarding. So, for example, they look for a Florida Retirement Home in or near a golf community, or lake land that affords them wonderful opportunities for fishing. They often opt for land in areas that are going to be developed into private communities, replete with lakes, rivers, recreation centers, and nature trails. Most importantly, they don’t want to be “snowbirds,” living winters in one area and summers in another. Instead, they want mild temperatures that they can enjoy year-round. Unlike previous generations, Baby Boomers know what they want and have the means to achieve it. Buying into affordable 55+ Active Adult Communities is just the first of many trends to come. WASHINGTON – May 6, 2013 – For the second time this year, the U.S. Department of Housing and Urban Development (HUD) will sell thousands of severely delinquent mortgage loans insured by the Federal Housing Administration (FHA). This summer, HUD will sell approximately 20,000 distressed loans through its expanded Distressed Asset Stabilization Program (DASP). HUD’s offerings will be conducted through two auctions – on June 26, it will sell approximately 15,000 notes through “national pools,” and on July 10 it will offer approximately 5,000 notes through Neighborhood Stabilization Outcome (NSO) pools. In the past, the smaller Neighborhood Stabilization pool sales included Florida properties, but this time HUD is focusing on Southern California, Chicago, southern Ohio (including Cincinnati, Columbus and Dayton) and the entire state of North Carolina. HUD is expanding the use of single-family loan sales through a competitive bidding process in which loan pools are sold to the highest bidder, including non-profit and community-based organizations. “These auctions allow us to continue stabilizing hard-hit housing markets and to improve FHA’s overall financial position at the same time,” says FHA Commissioner Carol Galante. Under the loan sale program, severely delinquent FHA-insured loans are sold competitively at a market-determined price that’s generally below the outstanding principal balance. Once an investor purchases the loan, foreclosure is delayed for a minimum of six additional months. During those six months, the investor (or servicer) can work with the borrower to find an affordable solution to avoid foreclosure. Since the investor buys the loans at market rate – which is generally below the outstanding principal balance – they’re in a position to offer the homeowner a loan modification. If the loan eventually goes to foreclosure anyway, the investor must do so, relieving HUD from the task. HUD expects to sell more than 40,000 distressed loans this year through quarterly sales that reduce FHA’s total claims costs and increase recovery on losses. FHA’s note sales program was resumed in 2010 as a direct sale pilot program that allows qualified bidders to buy pools of risky mortgages – in many cases, HUD says, as a less expensive alternative to foreclosing and listing the homes as a real estate-owned (REO) property. For more information on the HUD loan sale program, visit the department’s website. Florida Real Estate Is On Fire!! WEST PALM BEACH, Fla. – March 8, 2013 – Lesley Deutch, senior vice president at John Burns Real Estate Consulting, said the “Florida market is on fire” in her latest update on the state’s housing market. 2. Home prices. Some communities, such as Orlando and Naples, are seeing 1- to 2-percent new-home price increases monthly, Deutch says. The hallmarks of a seller’s market have also returned, such as lotteries. She expects a 2013 price increase of at least 10 percent in many Florida markets. 3. 55-plus market. Deutch reports a 20- to 25-percent jump in potential buyers interested in active adult living, according to builders in Southwest Florida. She also notes a boost in customer traffic in second- and third-tier markets. 4. Foreign buyers. It’s more than Miami, Deutch says. While in Orlando, she visited a sales office that had three active buyers: One from Brazil, one from Germany and one from China. 5. Foreclosures. While the state has a notoriously long foreclosure process, Deutch says banks are slowly releasing foreclosures. But investors continue to buy new foreclosures shortly after they hit the market. Hi folks. I found this interesting article today about the Active Adult Community 55+ sales. Hopefully SoliVita will beat this trend. There are several homes under construction in my neighborhood of Venezia and I see quite a few people taking tours when the wife and I are down at the Riviera Spa and Fitness Center. Check it out. WASHINGTON – Nov. 15, 2010 – The third-quarter results from the National Association of Home Builders’ 55+ Housing Market Index (HMI) find that builder confidence in the mature-market sector reflects the larger housing market’s bleak landscape. Almost all categories surveyed declined from the levels reported in the third quarter of 2009. Are Properties Selling at SoliVita in Poinciana Florida? Hi folks. Let’s talk a little bit about Real Estate market conditions in SoliVita. Recently I have spoken to several SoliVita homeowners and the first thing they mention is that NOTHING is selling in SoliVita. Well lets look at some facts. The figures below are based on the first half of each year. In 2006, at the peak of the market, there were 72 closing in the first half of the year. This year there were 91 sales! That’s an increase of 20%. In fact that’s the most resales in SoliVita for that time period EVER! So…properties are selling at a rapid pace. Now let’s explore why they are selling. This one is easy. PRICE! It’s all about the price. At the peak of the market, 1st half of 2006, the average sale was at $276,600. This year, 2010, the average selling price in SoliVita is $165,301. That’s a decrease in value of 40%. 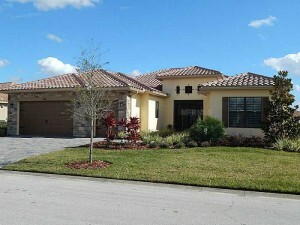 Considering homes in Poinciana have had a decrease in value of 70%….the values in SoliVita have held up pretty good. So…..will your SoliVita home sell in this market? ABSOLUTELY!!! As long as the price is right. If you want to know what that price is just give me a call….I’ll figure it out for you. OK? Breaking News!!! Approximately 93% of Homeowners are just fine!! That’s right. By far, the overwhelming majority of Homeowners in this country are NOT losing their homes. They either own their properties free and clear or are making their payments on time. It’s hard for us to see this because we are in the business. If you are like me you live and breathe Real Estate. We talk to people all day long who are struggling and it’s very easy for us to forget that most Homeowners are living in and enjoying their homes. I’ve mentioned many times over the last couple of years how more than 85% of the real estate closings in Poinciana Florida are distressed sales. But what I don’t mention is that there were only 1,654 sales for 2009 out of 20,700 properties. About 8%. So 92% of the folks in Poinciana stayed put. That’s right in line with the National average. From what I could find online there are approximately ****129,400,000 homes in the US. Depending on where you look only 7-10 mil of these are in some stage of default. That’s roughly 7%. Approximately 93% of the Homeowners in this country are doing OK. That makes me feel good. How about you? ****I spent about an hour this morning pulling stats and data and there really are no numbers that agree. So for the purpose of this post I just used averages. If you want more precise figures then feel free to do your own research.